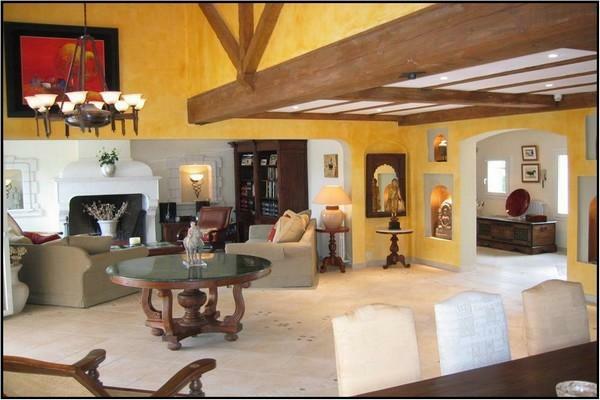 This villa is a 9-acre private property situated right next to the championship Opio/Valbonne golf course. 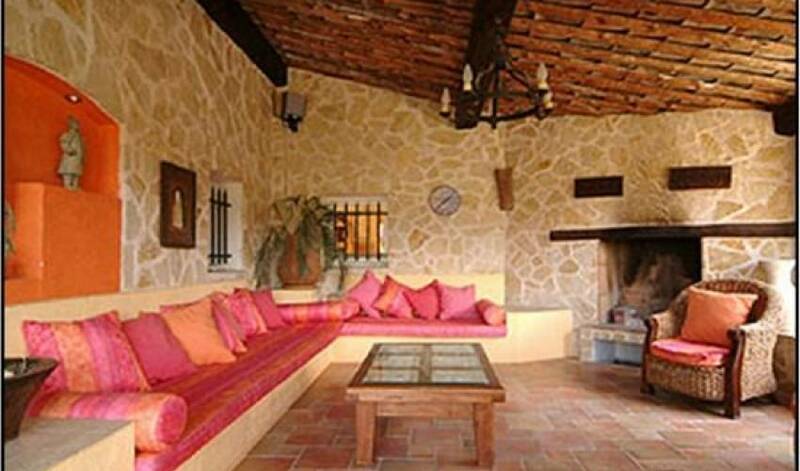 The villa is in a private gated residence about a 10 minute drive from Valbonne, providing total seclusion for its occupants. 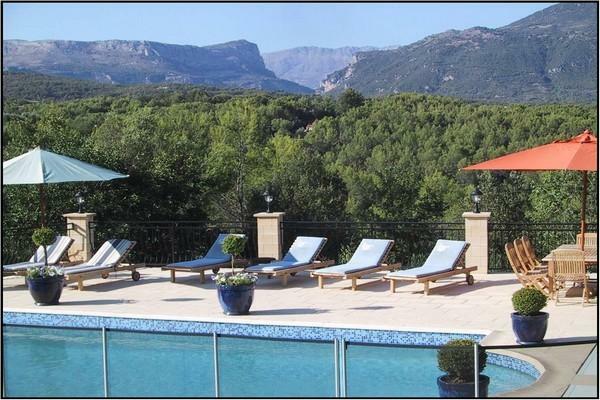 It affords lovely uninterrupted views over the Gorge du Loup and the forested valley below and is an ideal location to unwind and relax. 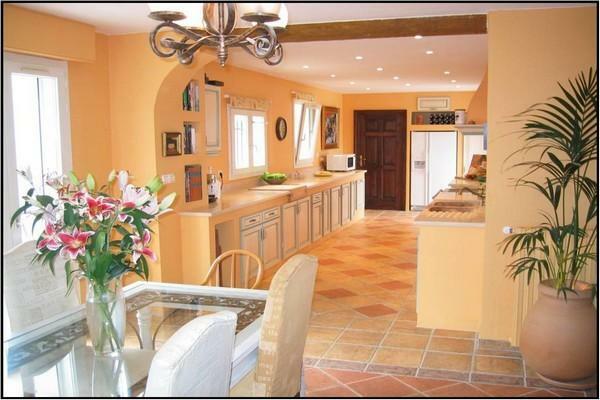 The property comprises over 400m² of living accommodation split over three levels, together with extensive terracing that entirely surrounds the house. 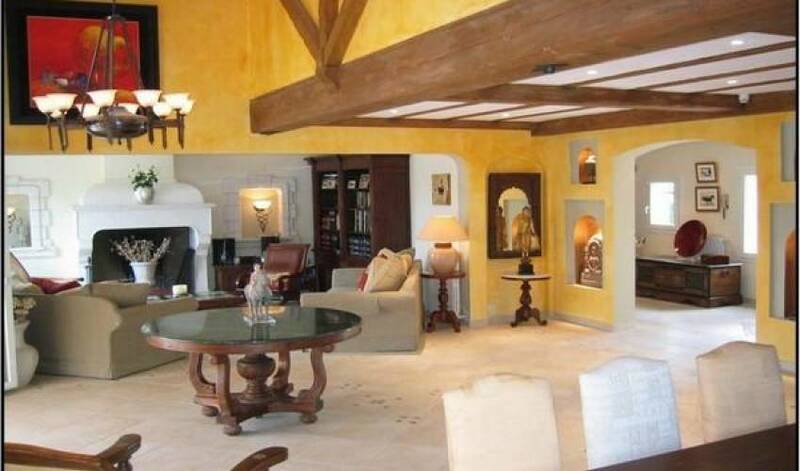 It is dominated by a very large living room in the centre of the house with a formal sitting area designed around an imposing fireplace, complete with the latest satellite TV/DVD and Hi-Fi entertainment centre. 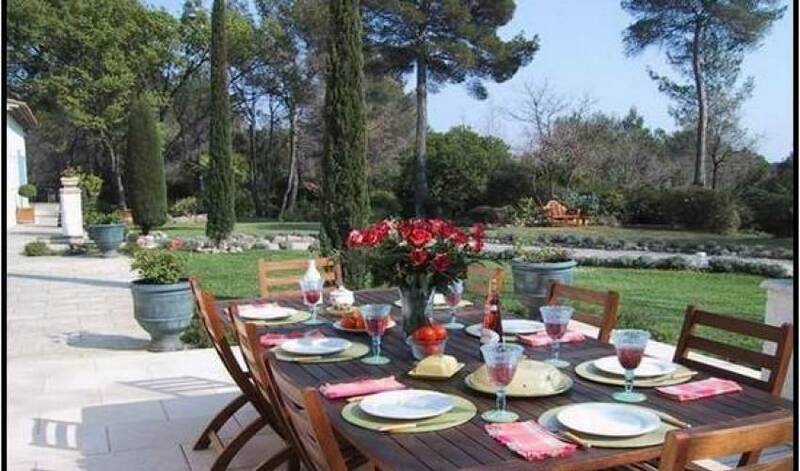 There are a number of different locations for ‘al fresco' dining. 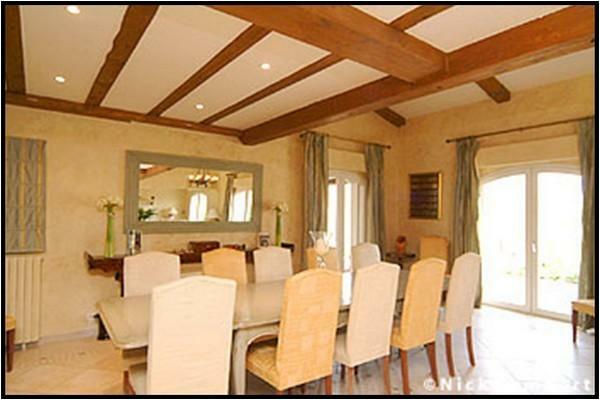 The dining tables in the living room and kitchen are supplemented by two outdoor locations. There is a sunny south facing breakfast terrace and at the back a covered "summer kitchen" full of rustic charm, complete with its own bar, sofas, Hi-Fi, fireplace and BBQ. 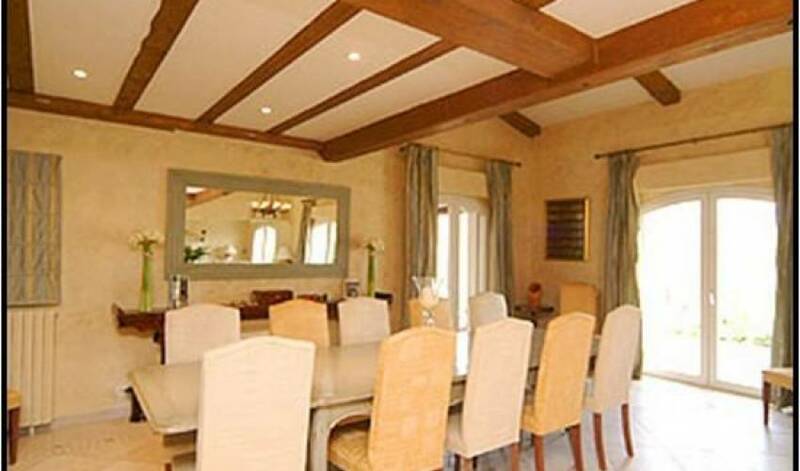 The villa sleeps 10 people in four double bedrooms and one bedroom with twin beds. 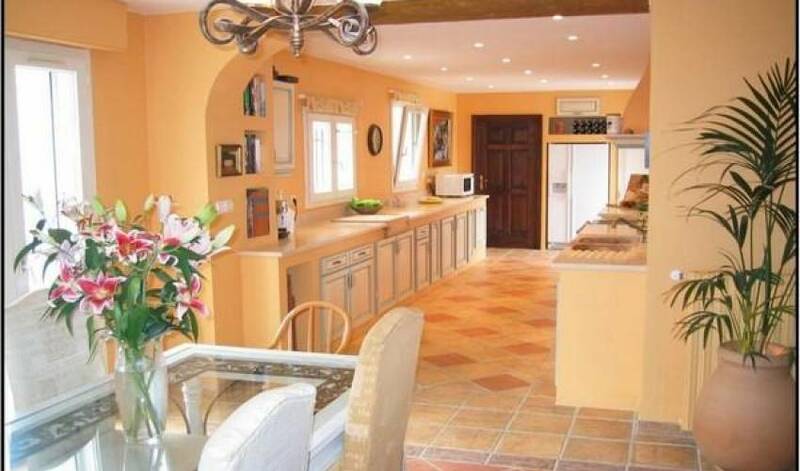 Three double bedrooms are situated on the ground floor and are all en-suite. The remaining two bedrooms are on the first floor with a shared bath/shower room. This villa is a sporting paradise. 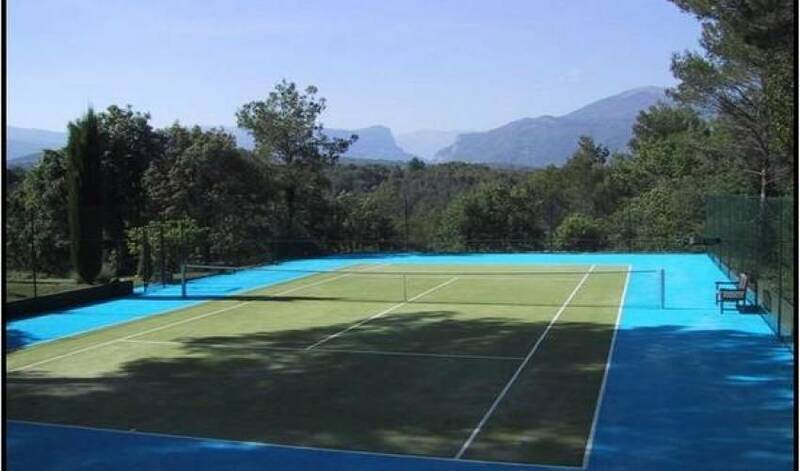 It has a heated swimming pool, an Astroturf tennis court, a floodlit boules court, badminton and volleyball equipment, table tennis and a brand new outdoor gym. For children, there is a play area containing a sandpit and playhouse. Entrance hall - Living room with sitting area around fireplace and satellite TV - Dining room with a 14 seater table- Both rooms are opening onto a large terrace with outside sitting and dining areas - Fully equipped kitchen opening onto another terrace with a dining area - Office area - Master bedroom with king size bed, dressing room and en-suite bath/shower room - Double bedroom with en-suite shower room - Double bedroom with en-suite bath/shower room - The three bedrooms have direct access to the garden. Children's bedroom with twin beds and double bedroom, sharing a bathroom. (CAN BE HEATED) 10 x 5 metres - Collapsible safety fence. 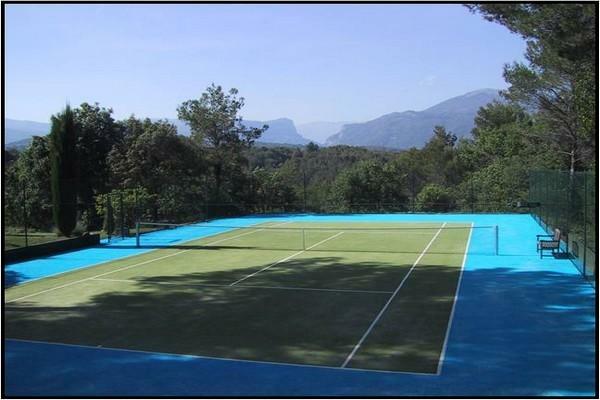 Sky satellite TV - Wi-Fi internet - Tennis court - Boules pitch - Children's play area. - 30 sqm outdoor gym. 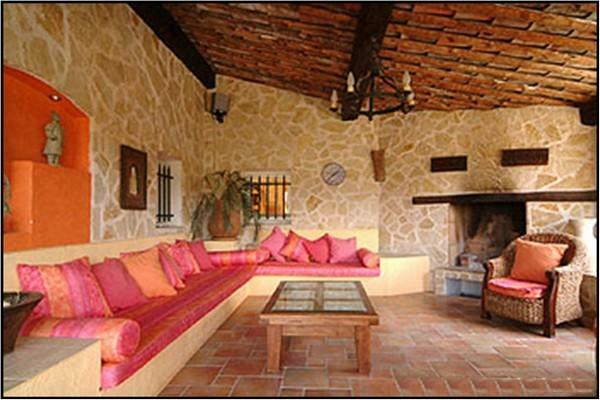 Nearest village	Valbonne	10 min. 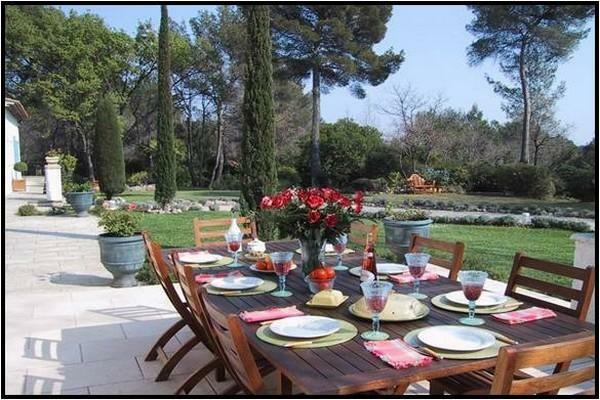 Nearest beach	Cannes	25 min. Nearest airport	Nice	35 min.